Simple, graceful and sweet with Swarovski crystal bronze shade rounds and beautiful flourish style leaves in antiqued silver, these earrings will match almost any outfit. Very lightweight. 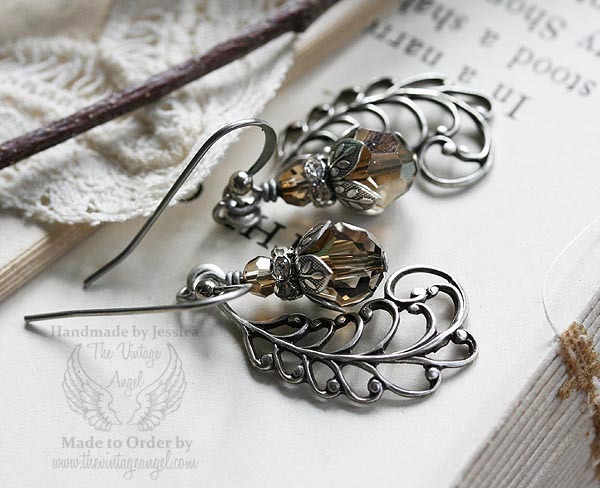 Due to the design on this pair, I cannot substitute the ear hook style. 1.75 inches long including hooks.